A decade ago Ramachandra Guha had characterised India as a 50-50 democracy. Where does India stand today? The power tables have turned. Have they turned for the better? While on one hand young urban Indians enjoy freedom,on the other, writers, filmmakers and artists are vulnerable.Ramachandra Guha’s, Gandhi Before India was one of our 2015 recommended books. 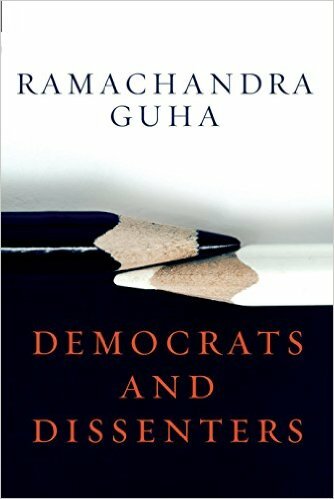 Democrats And Dissenters is the latest collection of essays by Guha and joins the highly recommended list this year. It comes at a time where democracies are fragile and continuously being challenged, and some of the so called democratic leaders, show megalomaniac tendencies. With Democrats and Dissenters, Ramachandra Guha comes up with yet another in depth analysis of India and it’s history. He looks at India’s complicated, contentious relations with Pakistan and China and delves into the curious coexistence of democracy and violence in India and in Sri Lanka. Meticulously, Guha chronicles the birth of democracy in pre-independence India, leading up to where it stands today, …Studying its evolution and (still ongoing) unification, I am convinced that the Republic of India was the most recklessly ambitious political experiment in human history….The congress is the 1950s and 1960s is best regarded as a school of democracy. It taught Indians on how to vote and speak freely…. While giving credit to India’s pluralism, for holding a country as big and as diverse together, he also brings to light the lack of politically productive argument and debate in the current scenario. Guha throws light on the various issues that have impaired India’s progress. The collection also consists of in depth disquitions on well known historians and sociologists such as, Eric Hobsbawm and Andre Beteille. 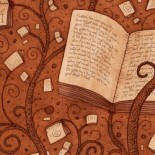 Guha’s erudition makes the book an intense and pleasurable read. He laments the loss of intellectualism in India and generally the world over. His opinion holds true, especially in today’s situation when the lack of studious and responsible political debate taints the very fabric of democracy, in the countries which had once championed it. One of my personal favourites in the non fiction genre for 2016!!! This entry was posted on October 29, 2016 by artikabakshi in Indian, Non Fiction and tagged Democrats And Dissenters, Gandhi Before India, India After Gandhi -Ramchandra Guha, Indian Author, Ramachandra Guha.